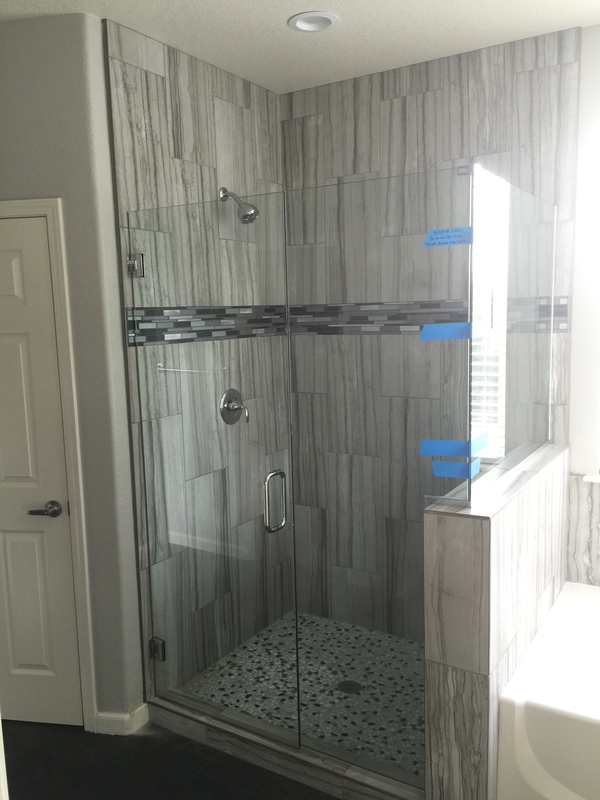 This walk-in shower installation in Tracy needed to be both inspirational as well as functional. We incorporated the home’s neutral color tones into the bathroom for this project. 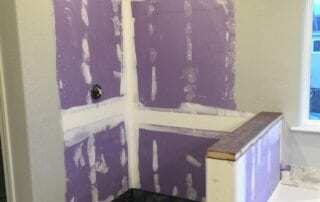 This was accomplished by installing gray shower wall tile cut in half by a horizontal strip of the same tiling found in the kitchen. After waterproofing the interior, we added the gray wood-look tiles, leaving an open strip for the horizontal tiling. 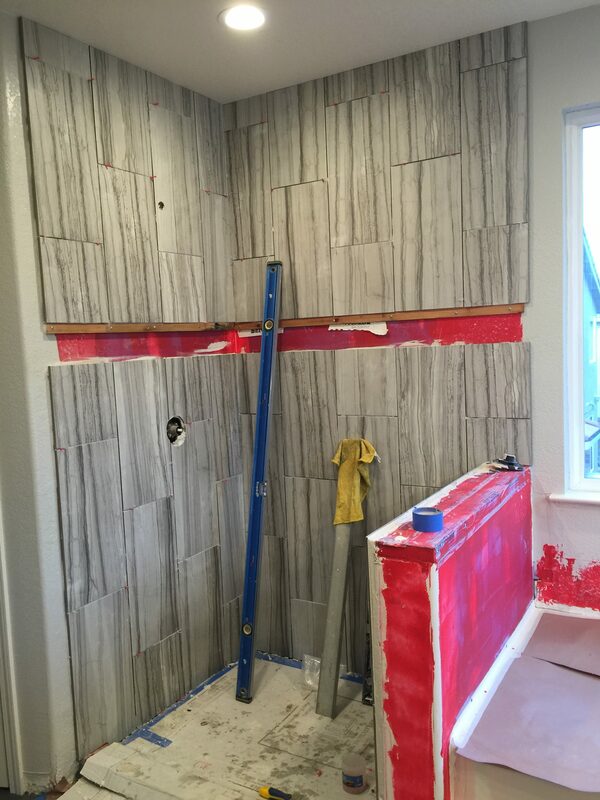 Then we continued the wood-look tile across the wall above the bathtub to create a seamless look. 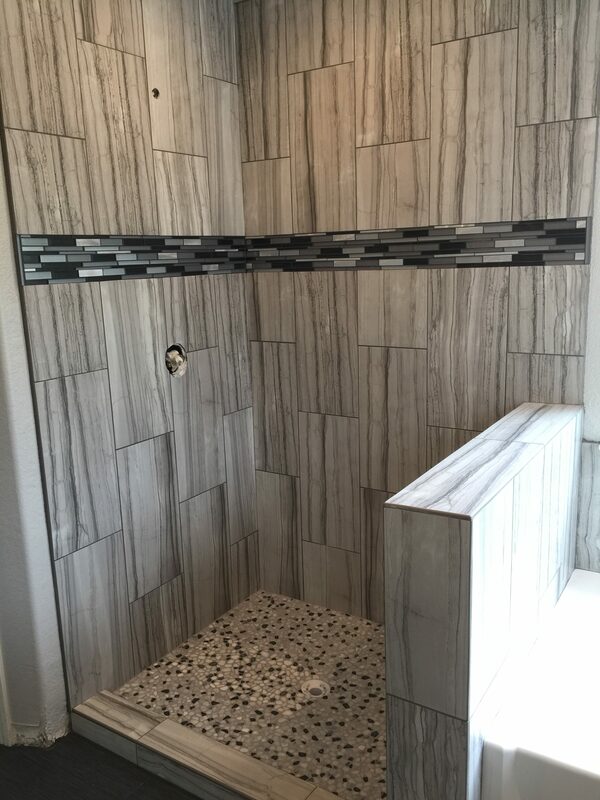 The black and white terrazzo-style flooring we used on the inside of the shower ties this neutral look together nicely. 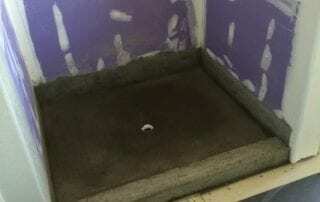 It also offers a nice contrast to the dark wood floors in the rest of the bathroom. 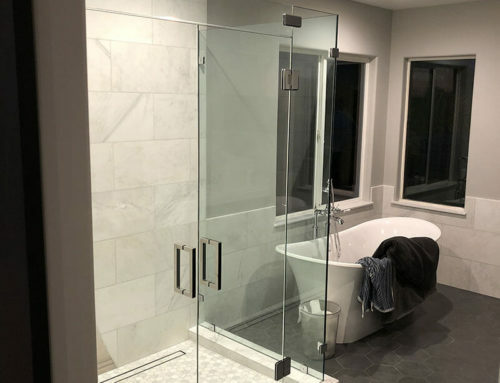 We chose a glass enclosure for the shower to make the most out of the natural light coming in from the bathroom’s two large windows. 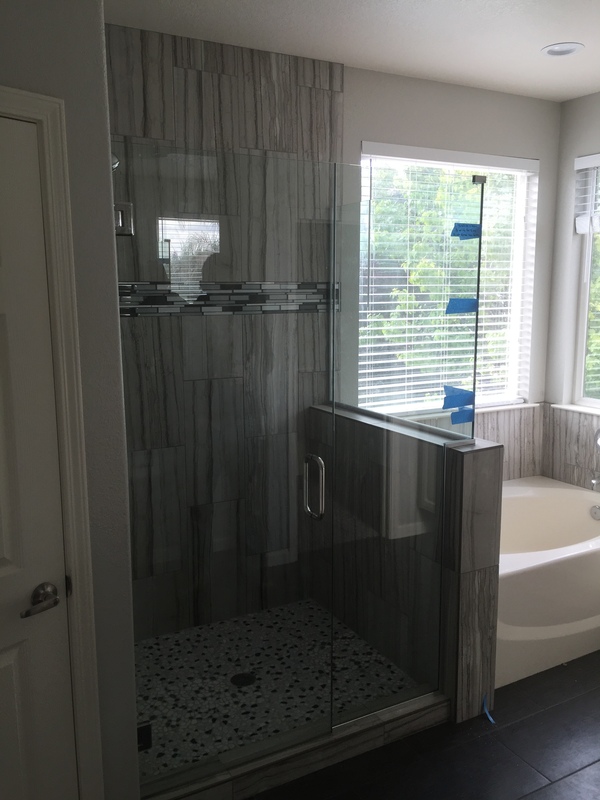 This combination of functionality and modern design transformed the shower into a brighter and more inviting space, giving our clients an easy way to start their day on a positive note. 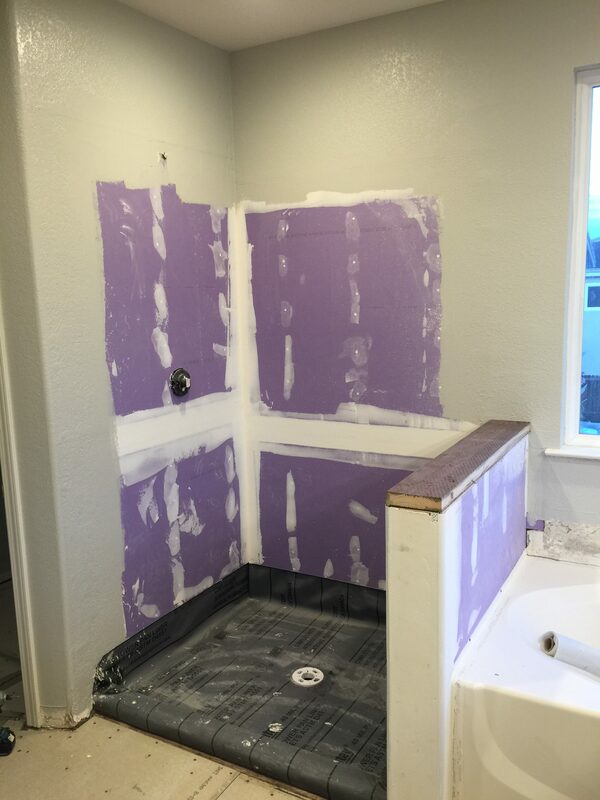 We love transforming bathrooms and making our clients happy! We work closely with our clients to ensure that they are happy with the end result. 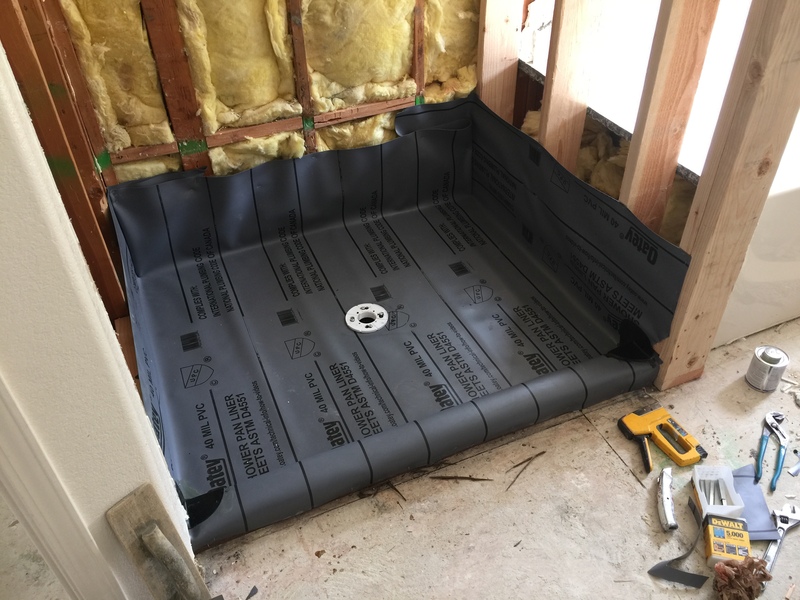 These Tracy residents were very pleased with the neutral tile that we chose while we worked in tile accents from other parts of their home. This new shower was exactly what this bathroom was missing. Not only did this shower remodel add to the home’s contemporary design, but it also allowed for the best natural light exposure possible. 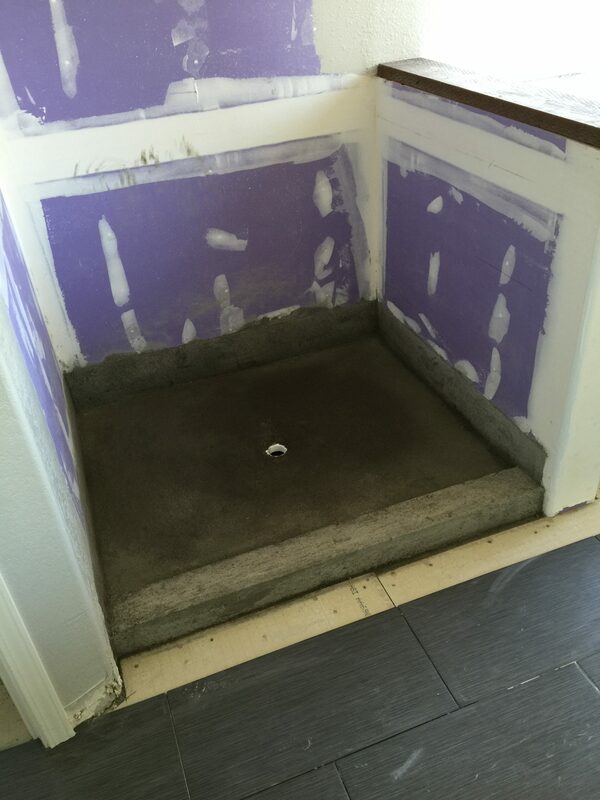 All in all, this was the perfect new shower for this family’s bathroom. 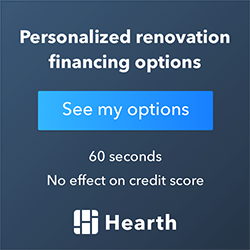 Do you need a new look in your bathroom? 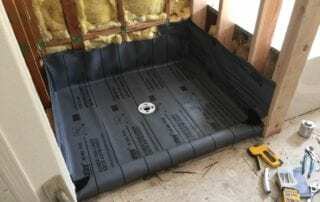 Get in touch with us today for a free quote!